^ Wilde MI, Plosker GL, Benfield P (November 1993). "Fluvoxamine. An updated review of its pharmacology, and therapeutic use in depressive illness". Drugs 46 (5): 895–924. doi:10.2165/00003495-199346050-00008. PMID 7507038. ^ Kwasucki, J; Stepień A; Maksymiuk G; Olbrych-Karpińska B (2002). "Evaluation of analgesic action of fluvoxamine compared with efficacy of imipramine and tramadol for treatment of sciatica—open trial". Wiadomości Lekarskie 55 (1-2): 42–50. PMID 12043315. ^ Schreiber, S; Pick CG (August 2006). "From selective to highly selective SSRIs: A comparison of the antinociceptive properties of fluoxetine, fluvoxamine, citalopram and escitalopram". European Neuropsychopharmacology 16 (6): 464–468. doi:10.1016/j.euroneuro.2005.11.013. PMID 16413173. ^ Coquoz, D; Porchet HC; Dayer P (September 1993). "Central analgesic effects of desipramine, fluvoxamine, and moclobemide after single oral dosing: a study in healthy volunteers". Clinical Pharmacology and Therapeutics 54 (3): 339–344. doi:10.1038/clpt.1993.156. PMID 8375130. ^ Ritsner, MS (2013). Polypharmacy in Psychiatry Practice, Volume I. Springer Science+Business Media Dordrecht. ISBN 9789400758056. ^ a b Hindmarch, I; Hashimoto, K (April 2010). "Cognition and depression: the effects of fluvoxamine, a sigma-1 receptor agonist, reconsidered". Human Psychopharmacology: Clinical and Experimental 25 (3): 193–200. doi:10.1002/hup.1106. PMID 20373470. ^ Taylor, D; Paton, C; Shitij, K (2012). The Maudsley prescribing guidelines in psychiatry. West Sussex: Wiley-Blackwell. ISBN 978-0-470-97948-8. ^ a b Ciraulo, DA; Shader, RI (2011). Pharmacotherapy of Depression (2nd ed.). Springer. p. 49. doi:10.1007/978-1-60327-435-7. ISBN 978-1-60327-435-7. ^ P., Baumann (1996). "Pharmacokinetic-pharmacodynamic relationship of the Selective serotonin reuptake inhibitors". Clinical Pharmacokinetics 31 (6): 444–469. doi:10.2165/00003088-199631060-00004. PMID 8968657. ^ Gill HS, DeVane CL; Gill, HS (1997). "Clinical Pharmacokinetics of Fluvoxamine: applications to dosage regime design". Journal of Clinical Psychiatry 58 (Suppl 5): 7–14. PMID 9184622. ^ DeVane, CL (1998). "Translational pharmacokinetics: current issues with newer antidepressants". Depression and Anxiety 8 (Suppl 1): 64–70. doi:10.1002/(SICI)1520-6394(1998)8:1+<64::AID-DA10>3.0.CO;2-S. PMID 9809216. ^ Bondy, Brigitta; Illja Spellmann (2007). "Pharmacogenetics of Antipsychotics: Useful For the Clinician?". Curr Opin Psychiatry (Medscape: Lippincott Williams & Wilkins) 20 (1): 126–130. doi:10.1097/YCO.0b013e328017f69f. 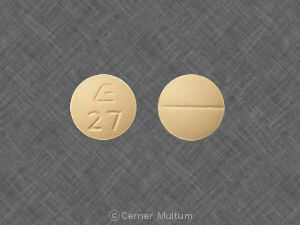 PMID 17278909. Retrieved 2008-02-01. ^ a b "Sigma-1 receptors and selective serotonin reuptake inhibitors: clinical implications of their relationship". Central Nervous System Agents in Medicinal Chemistry 9 (3): 197–204. September 2009. doi:10.2174/1871524910909030197. PMID 20021354. ^ a b Sittig's Pharmaceutical Manufacturing Encyclopedia (PDF) (3rd ed.). William Andrew. 2008. p. 1699. ISBN 978-0815515265. Retrieved 17 October 2013. ^ Omori, IM; Watanabe N; Nakagawa A; Cipriani A; Barbui C; McGuire H; Churchill R; Furukawa TA (October 2013). "Fluvoxamine versus other anti-depressive agents for depression". Cochrane Database of Systematic Reviews (9). doi:10.1002/14651858.CD006114.pub2. Retrieved 14 October 2013. ^ Higuchi, T; Briley, M (February 2007). "Japanese experience with milnacipran, the first serotonin and norepinephrine reuptake inhibitor in Japan". Neuropsychiatric Disease and Treatment 3 (1): 41–58. doi:10.2147/nedt.2007.3.1.41. PMC 2654524. PMID 19300537. ^ Walker, R; Whittlesea, C, ed. (2007) . Clinical Pharmacy and Therapeutics (4th ed.). Edinburgh: Churchill Livingstone Elsevier. ISBN 978-0-7020-4293-5. Pomalidomide: Evaluation of cytochrome P450 and transporter-mediated drug-drug interaction potential in vitro and in healthy subjects. Kasserra C1, Assaf M, Hoffmann M, Li Y, Liu L, Wang X, Kumar G, Palmisano M.
Journal of clinical pharmacology.J Clin Pharmacol.2015 Feb;55(2):168-78. doi: 10.1002/jcph.384. Epub 2014 Sep 7. Poor neonatal adaptation after in utero exposure to fluvoxamine. Kieviet N1, Duijn M, Dolman KM, Honig A. Journal of obstetrics and gynaecology : the journal of the Institute of Obstetrics and Gynaecology.J Obstet Gynaecol.2015 Feb;35(2):201-2. doi: 10.3109/01443615.2014.940303. Epub 2014 Aug 27. Intraperitoneal sertraline and fluvoxamine increase contextual fear conditioning but are without effect on overshadowing between cues. Pharmacology, biochemistry, and behavior.Pharmacol Biochem Behav.2015 Feb;129:111-5. doi: 10.1016/j.pbb.2014.12.004. Epub 2014 Dec 19.